(Business Wire) – CSC Sugar LLC has filed a brief in the U.S. Court of International Trade in New York arguing that the U.S. Department of Commerce’s failure to keep and make public records of meetings with outside parties, as required by law, in the negotiations of a U.S.-Mexican trade pact on sugar should void the entire agreement. The 30-page brief refers to meetings, phone calls, and other off-the-record, or ex parte, communications that occurred with Secretary Wilbur Ross and other senior Commerce Department officials over a period beginning in June 2016 and continuing through June 2017. Among those alleged to have engaged in these private communications with Commerce Department leaders were executives of the U.S.’s largest sugar refiners, whose century-old refineries benefited from a key change ushered in by the July 2017 agreement between the U.S. and Mexico to suspend the anti-dumping and countervailing duties implemented against the importation of Mexican sugar. Subsequently, according to CSC Sugar’s brief, the Commerce Department moved in June 2017 to alter the definition of “refined sugar” to include a lower purity level – moving from 99.5% to 99.2% – as well as other changes in shipping requirements. This change applied only to Mexico, and not to other countries which have sugar quotas with the U.S. 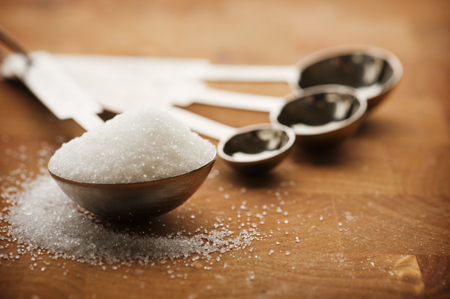 The result of these changes was to give a competitive advantage to one segment of the U.S. domestic sugar industry (the U.S. refiners of cane sugar) at the expense of CSC Sugar and others for whom costs escalate when lower purity sugar must be processed. In turn, CSC argues that this inability to provide a full record – which violates federal law that require full disclosure of such information and frustrates the Court’s ability to exercise its review authority – was substantially prejudicial, and should render the underlying U.S.-Mexico sugar trade agreement invalid.